Ewerton’s goal – Burmistrov’s corner goes all the way across the six-yard box, and is prodded home by Ewerton. Burmistrov’s corner is flat and hard, but is into the six-yard box. For me, Lloris would be coming to get rid of this. Instead, Friedel is rooted to his line. Having said that, Naughton has to get across his man and clear this. He makes no attempt to clear the ball, and Ewerton muscles his way in front of him to prod it home, almost with his studs. As an aside, you’ll know I’m not a fan of advertising. However, a big shout out to the makers of this Spurs Onesie, who kindly sent me one after I tweeted about it. A great last minute Christmas present?! Any chance of a photo of you in the 'Onsie' Windy? Friedel definitely at fault, Hugo has spoiled us. Naughton more intent on manhandling his man than concentrating onthe ball. I assume that you were delighted with the appearance and performance of Ryan Fredericks. All the right attacking instincts. Loan? Coulthurst looked the part but seemed a litle overawed. Soldado apart from his hat trick did sterling work defending corners in the 2nd. half. Improving attitude and pace all round. Will Bobby start on Sunday? Brad should have come out but I think Naughton really needs to challenge for that ball, the attacker should not have made contact. On the other hand Brad made several hold the line saves so I'll hand out the deserved praise with the deserved criticism Good to see Fredericks and Coulthirst on the pitch, thought they both did well, next Drogba or are we already on the next Lakaku, I lose track of where the press are in terms of over hyping youngsters, but anyway, a good showing on both counts. One thing stood out and that is Holtby can link up with everyone, I mean really does read his team mate's intentions excellently, he continues to impress me. 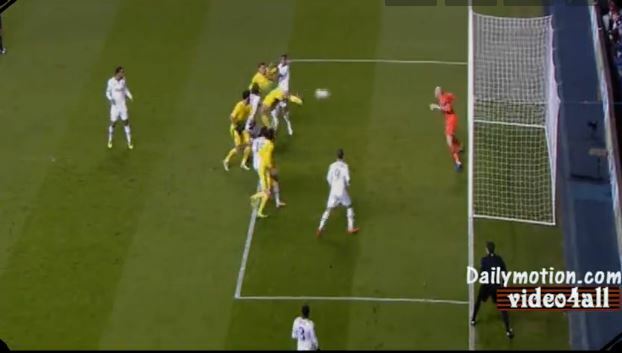 Soldado's second goal was not one of a striker with confidence problems, it just highlights how few chances he has had. Fryers and Capoue seemed composed. 18 months ago I would have happily slapped any one who suggested i may say thank God Rose is fit again, but now, thank god Rose is fit again. Lamela and Eriksen did what they needed to do, I was once told there are times all you need to do is finish a game with Dear Diary, a good day, did not screw up, and look to the future. We know what both can do, neither strike me as a Rebrov as both seem to cope with this lull by getting their heads down and winning the ball back, judging by the facial hair on the Dane I'm guessing Sandro's influence again. I'll forgive Andros his miss, it was a lovely move and needed a goal, i think we lost a little when he switched to the right, not tactically, but because he was obviously determined to make up for the miss with a screamer and we wasted a few opportunities for through balls. I'll forgive him as many one on one misses as it takes for him to come good, but if he finds himself shooting from range i will always wished he had passed to Sandro or Holtby. Shout out for Dembele because i don't think i mentioned him and he did well. Detractors will say this is a game against weak opposition suffering from injury again, but you can only play the team put in front of you, more importantly this was a game we really didn't need to win, we could easily have settled for 0-0 and not risked anything, but we didn't. More of this please. What a player that Frederick is . Fast, intelligent, skilful, and a fighting spirit, Definitely one for the future. Also just want to say, what a shame Gomes was not used more often. A crowd favourite reduced to a nobody, so wrong in my eyes. We had the best ever home record under him when we made it to the champions league . I'd have Gomes over Brad any day in goal. Gomes isn't registered to play in the EL: I don't know if that changes in the knockout stages. I don't think he's been treated well.